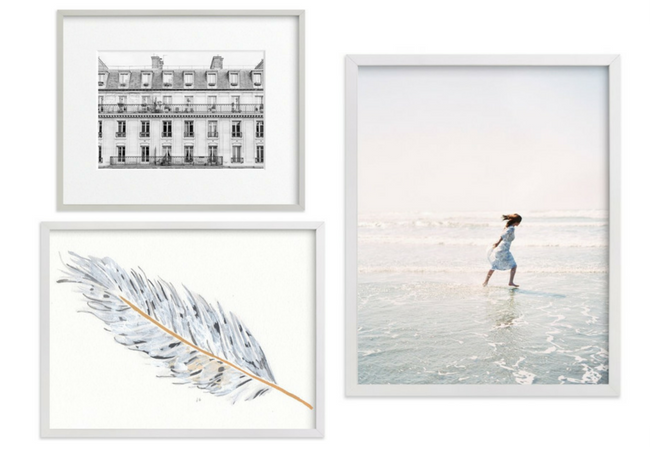 Considering hanging art above the sofa in your living room? 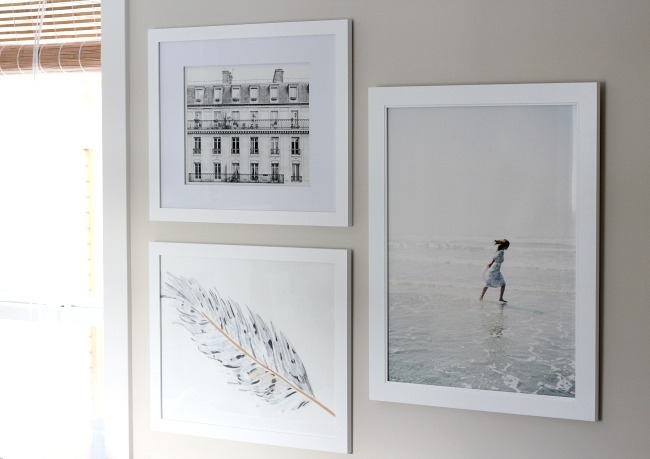 Check out these tips for selecting the right art, framing it and getting it up on the wall effortlessly. 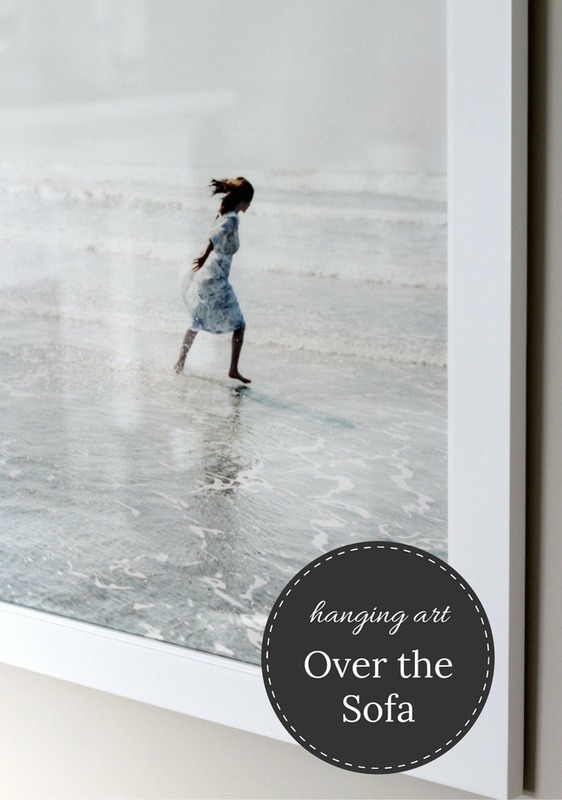 It’s always nice to get a project ticked off the list, and this time it was hanging the beautiful art prints I received from Minted over our living room sofa. Thank goodness our bare walls are gone! 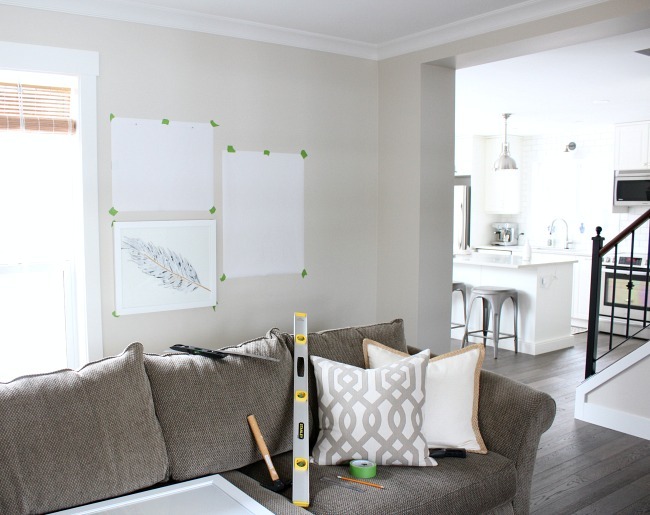 Before I share what went in to selecting our living room wall art, framing it and getting it up on the walls, I have to back up a bit and explain how we ended up with empty walls to begin with. As you may know, we underwent an entire main floor renovation a little more than a year ago. At that time, we decided to make over our fireplace, install hardwood floors and add new trim. What you probably don’t know is we also closed off an arched opening that looked into the dining room. Since our living room is on the smaller side, having a fireplace, two large windows, and a pass-through to the dining area made it feel way too busy and off-balanced. I never quite knew how to style that shelf without it looking odd. What are you supposed to do with those anyway? 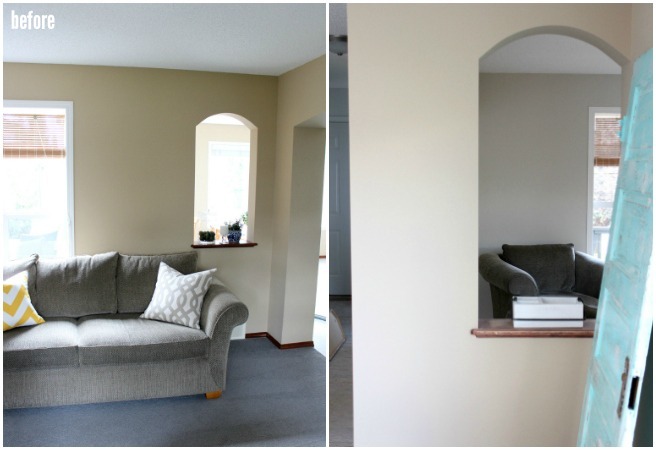 As well, the space between the window and arched opening left very little room for hanging art above the sofa. So, we closed it up using drywall and painted the whole room a soft greige. Immediately, the space looked more cohesive and cozy, but the blockage of light that once flowed into the space left it feeling a bit dark. 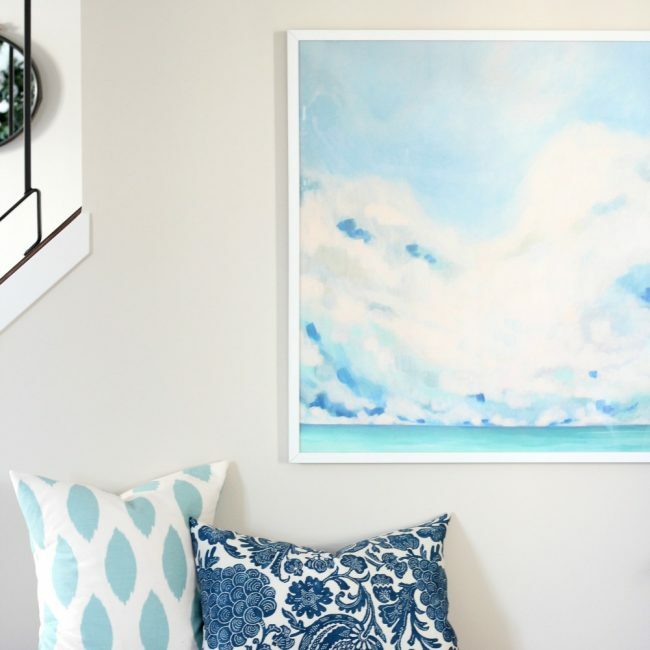 To address the problem, I started looking for art pieces that were light and airy to brighten that corner of the room. Affiliate links are included for the art prints that were sent to me by Minted allowing me to make a small commission from your purchase without an additional cost to you. Thanks for your support! 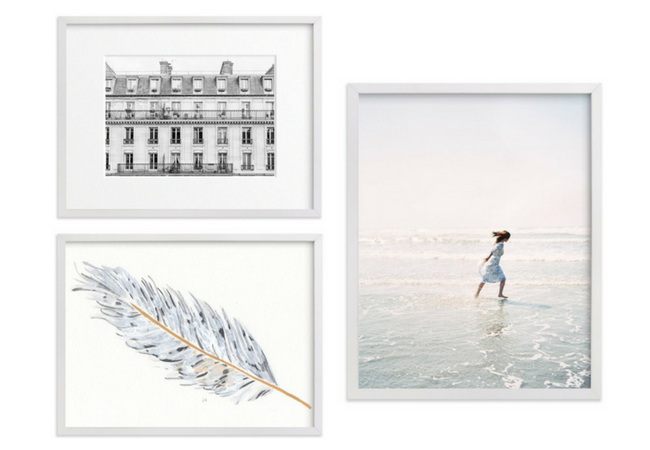 As with many decor projects, I looked for wall art inspiration on Pinterest and discovered a few prints I liked from Minted. After being on their site for a short while, I’d added far more options to my favourites section than I needed. That’s how it goes with decorating most of the time, isn’t it? Either you can’t find what you want or you’re overwhelmed by too much good stuff making it difficult to narrow it down. So, what do I do in that situation? I use the “pin it” button to save those items to a secret board I’ve created on Pinterest. I also pin inspiration pictures from others that represent the look and feel I’m going for. When I’m finished, I take an overall look and get a sense of the type of art I’m drawn to. Then, I weed out my least favourites by deleting them. 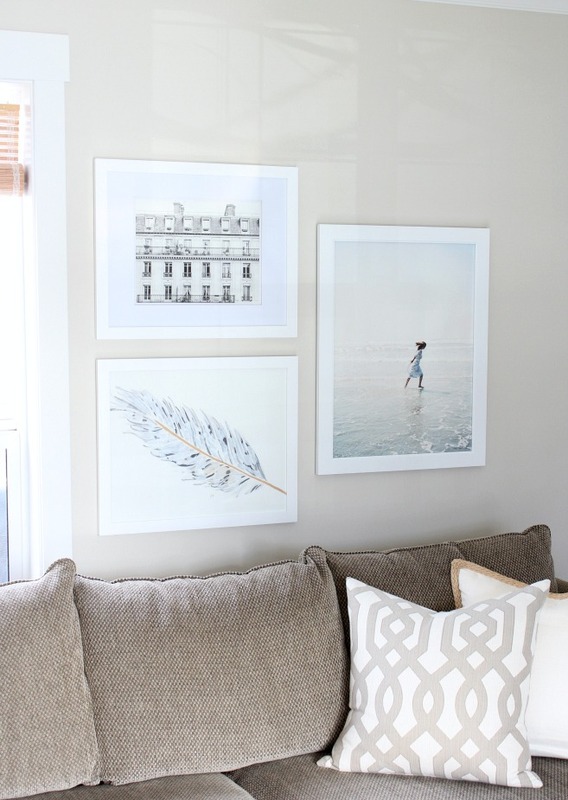 For our living room, I wanted to focus on creating a small gallery wall over the sofa first and foremost. Because our area rug is predominantly blue, I looked for a touch of that colour, along with grey, sand and white to tie everything together. A slightly darker piece always helps to anchor the collection, so I picked an antique-looking black and white print too. I like mixing contemporary and vintage pieces (even if they’re new, but have that look). Another thing to keep in mind while selecting art is what’s in neighbouring spaces. I hung this blue and white abstract print in our hallway just before Christmas, so the living room art had to relate in some way. Art is something that’s highly personal. I’ve always been drawn to nature and architecture, so those pieces tend to catch my eye. Thankfully, my family likes them too. Look for something that speaks to you, even if it’s artistic or candid-looking family photos. For above our sofa, filling a total area that measured 42-46″ wide by 30-38″ high was ideal to balance out the window on the other side. I played around with different sizes of prints with varying frames (with and without mats) to see what looked the best within those parameters. Make sure you account for spacing between each one in your measurements. I saved each piece to my desktop and used Canva to try varying sizes, positions and orientation. You can even swap out different art pieces if something doesn’t seem to look right. Printing them out onto paper and looking at them side by side usually helps too. Although the same prints are used in each one, there are slight differences in frame colours and sizes, as well as mat vs. no mat. I selected the most subtle print for the largest and worked my way down from there to keep it looking balanced. 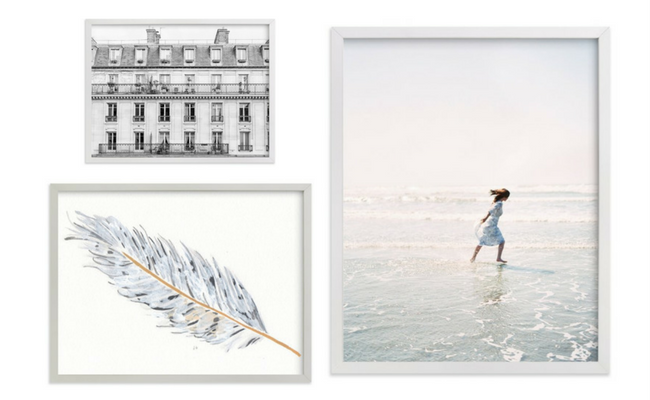 Selecting frames for your art is highly dependant on your budget. I waited for a sale at Michaels (55% off) to pick up white-painted frames. Two of them are the same (I removed the mat from one) and the other is slightly thicker but has the same finish. 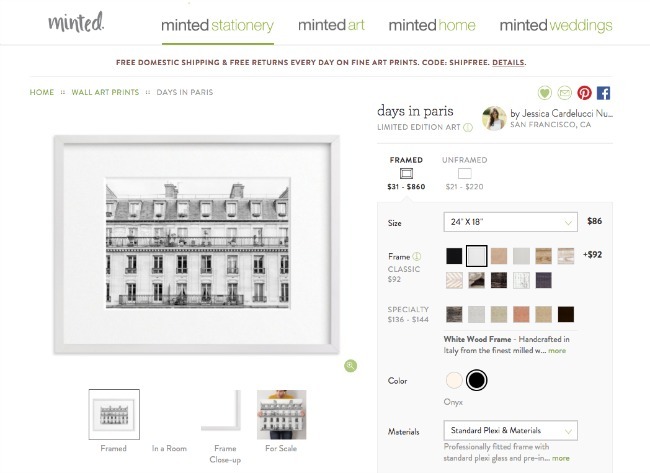 As an option, you can have Minted frame them for you. I opted for that with the hallway art since it’s oversized (30 x 30), which is always a bit tricky to find ready-made. 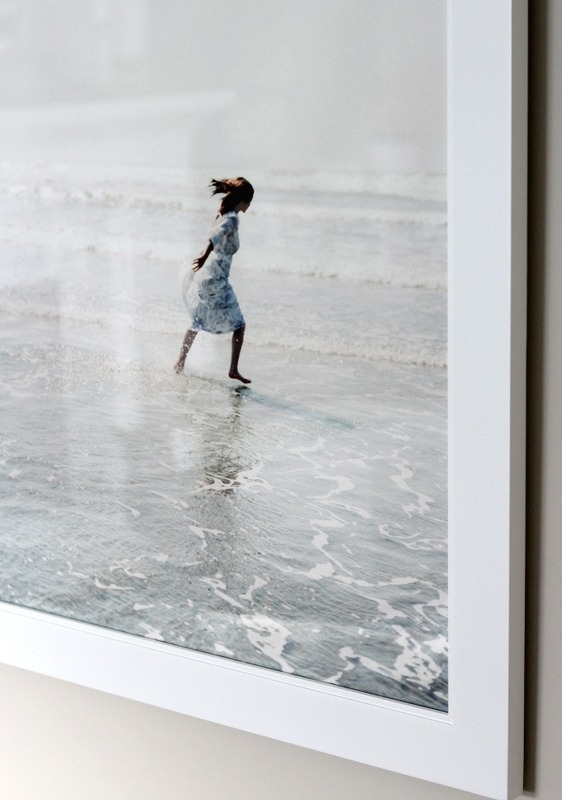 IKEA is another inexpensive source for frames, but the sizes are very limited. I also like the look of mixed frames or metallic ones, especially when they’re vintage. I played around with a few thrifted frames, but white seemed to work best to lighten and brighten our living room. I’ll be using my vintage collection for another art project instead. 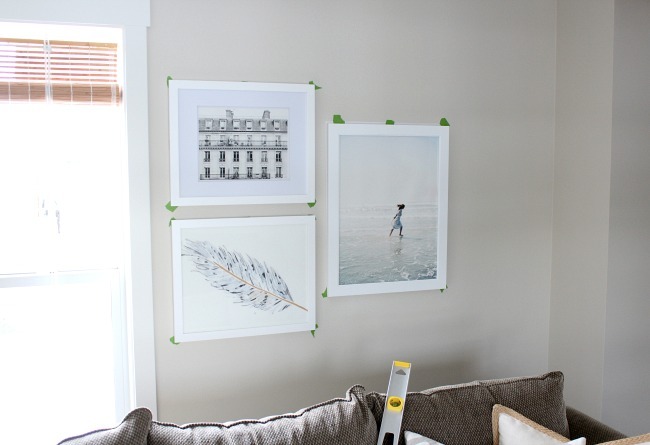 I find the easiest way to hang a grouping of wall art is to trace the frame outlines onto paper, cut them out and tape them to the wall using painter’s tape. That way you can play around with the placement and configuration without creating a bunch of holes in your wall. Be sure to use a ruler and level so it isn’t wonky. How far above the sofa do you hang a picture? 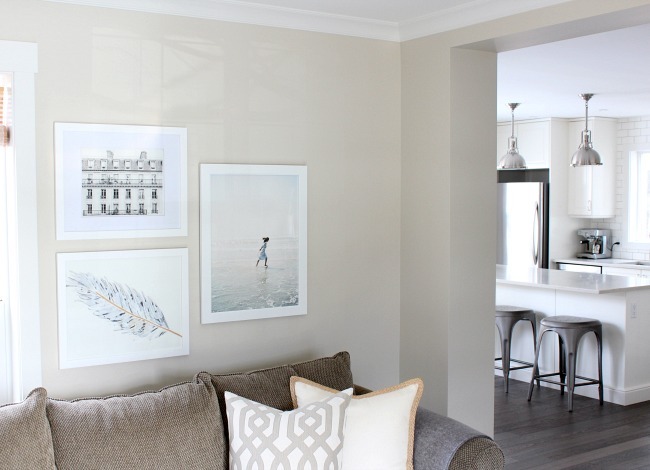 A basic rule for hanging art above the sofa is leaving 6-8″ of space between the bottom of the art and top of the sofa. I erred on the lower side having an 8 foot ceiling height. As well, our sofa sits a foot or so away from the wall, so the art has some natural breathing room. For the nails, you can simply transfer the measurements from the back of the frame to the paper with pencil and use that as your guide. Nail right into the paper and remove it after. I like to get everything up and take a look at the final collection before taking it down so it’s easy to make adjustments if necessary. I prefer using two nails for each piece instead of only one in the centre to keep the pieces straight over time. It also distributes the weight for slightly heavy pieces if you’re not able to hit any studs. Make sure you use anchors and screws if you are hanging something quite heavy. It’s amazing what art can do to a space. I like how these pieces add interest without being too busy. Budget constrained? Consider creating your own art! It’s easier than you may think and will save you a bunch especially on larger pieces. I’m working on some canvases right now and still enjoy looking at the DIY art in my office everyday! 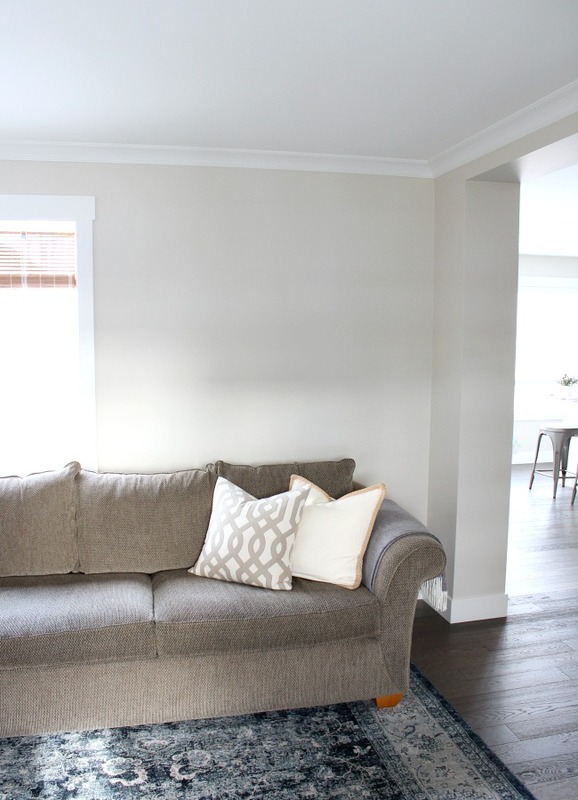 Have any questions about hanging art above the sofa or any other art project? Please let me know in the comments. I love hearing from you! These are beautiful Shauna! I love how you went about organizing them for your wall. So smart! And saves so many nail holes lol. I love you choices for decorating your living room. Please share more! Can you tell me the source for your living room rug? I love the wall art gallery you created. It looks beautiful……perfectly placed.